We are a professional environmentally friendly waste and recycling service that specialize in the removal of all kinds of domestic and commercial waste clearance.In one of our luton vans we can take single items to full loads only charging you for the space used, making this a much cheaper way to removing your rubbish than having the hassle of hiring a skip, therefor saving you time loading it yourself and having to arrange skip permits at extra cost. We provide all types of rubbish clearance and waste collection services from household, garage and garden to builders waste, office clearance and weekly/daily bag and wheelie bin collections. By calling 01255 425939 - 07565852757 a free quote and same day service can be arranged no appointments needed. On job completion a transfer certificate is provided, giving you the customer peace of mind from fly tippers and knowing that your waste has been recycled and disposed of correctly. Here are some of the areas we cover but we do cover best part of the uk. Clacton-on Sea, Coggeshall, Colchester, Copford, Deadham, Dovercourt, East Mersea, Elmstead, Frating, Frinton, Great Bently, Great Bromley, Great Holland, Great Oakley, Greenstead, Harwich, Holland-on Sea, Ipswich, Jaywick, Kirby Cross, Kirby-le-Soken, Lawford, Lexdon, Little Bentley, Little Bromley, Little Clacton, Little Oakley, Little Tey, Manningtree, Marks Tey, Mistley, Parkeston, Point Clear, Ramsey, Seawick, Silverend, St Osyth, Stanway, Aingers Green, Alresford, Ardleigh, Beaumont, Bentley, Boxted, Braintree, Brightlingsea. 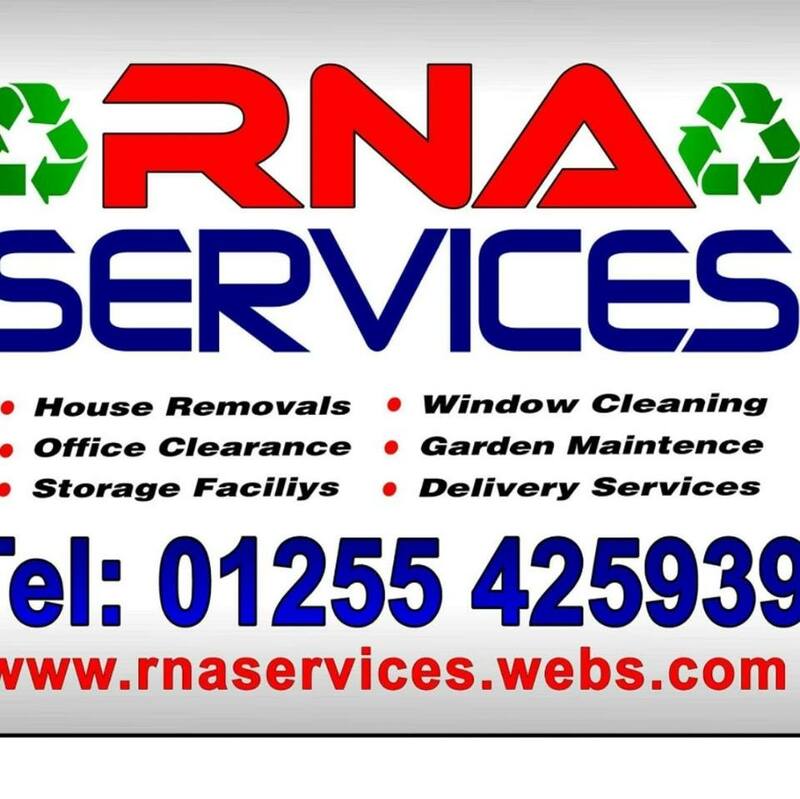 In the last few years getting rid of waste has got much harder to dispose of waste but we at rna service have found other ways around this in order to keep our prices, the way they are also For many years rna service has offered a range of Waste Management and specialized Industrial waste management services.rna services are often called to clear sites after building contractors have completed their construction project. We assess the work and provide a detail written quotation, backed up by Risk Assessment and Method Statements. We offer the best management approach to clearing a site after contractors, or if the site has been left neglected for a long time. Clearing a site can be difficult and sometimes dangerous if the site has been left unattended for a number of years. The site areas are cleared of all waste streams left behind and if required, cleaning and jetting work is carried out to ensure the site is safe for reuse or for other contractors to take over. Our goal is to deliver innovative cleaning solutions in a safe, timely and cost effective manner, that meets with your goals and expectations. We have great experience of understanding client requirements and of delivering a safe, effective service in many different industries. Waste-wise strives to develop and promote ways to recycle and recover value from waste and reduce the amount being sent to landfill. Our innovative approach enables us to achieve an overall recycling rate of over 99%. Whether it’s for a shop, a warehouse or other commercial unit, at the end of a lease you will want to have the site cleared. We offer end of lease clearance services. Regardless of whether you are the tenant or the landlord, clearing and disposing of junk from a previous tenant can be a real pain. Our professional teams, utilising our fleet vehicles, will remove and dispose of all waste in a responsible and environmentally friendly manner, providing you with any relevant documentation you require. We also deal in fly tipping clearance's. Fly tipping is an illegal practice whereby people tip their waste onto land without the required permission. Here at Dunmow Waste, we provide fly tipping clearance to take care of rubbish removal from any area where waste has been illegally tipped. With the environment at the heart of what we do, you can rely on our team to provide prompt and professional fly tipping waste removal form places such as clacton, colchester ,harwich ,ipswich, Chelmsford, Braintree, Brentwood and the surrounding areas. With a fleet of vehicles in operation and professional waste management teams, you can rely on us for fly tipping clearance, leaving behind a clean and clear environment. For more information about how our fly tipping rubbish removal teams can assist you, simply contact us today and we’ll be happy to provide a rapid response to any affected areas for site clearance.